Dealing with burnout.. Plus ORCS! There has a been a lack of updates lately, my apologies. As usual around here, I had a lot of stuff on that I couldn't post.. 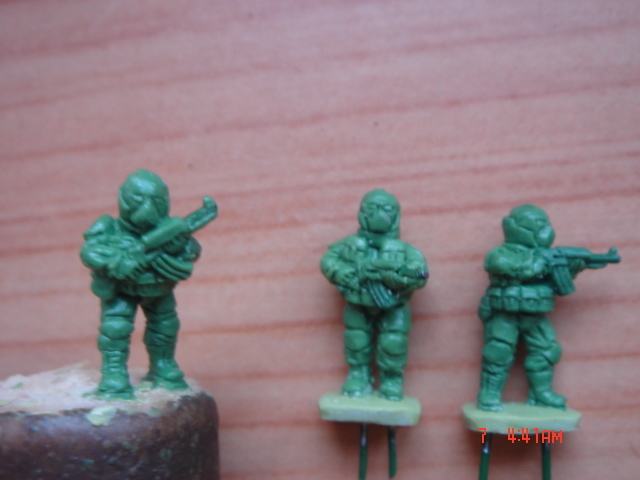 Some new sci-fi soldiers and alien crewmen from Khurasan. You will have to wait until Jon releases the photos to see them though. Once this ritual has been observed I have a new list of projects to 2012, of course! 1. Paint my new Khurasan mutants and wastelanders. 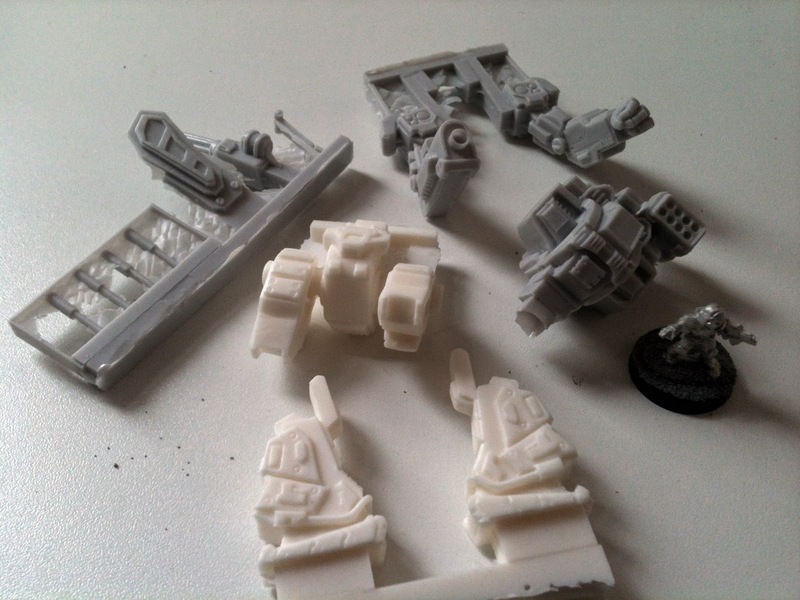 I buckled and ordered the whole post-apoc range recently, and they do not disappoint.. amazing minis. 2. 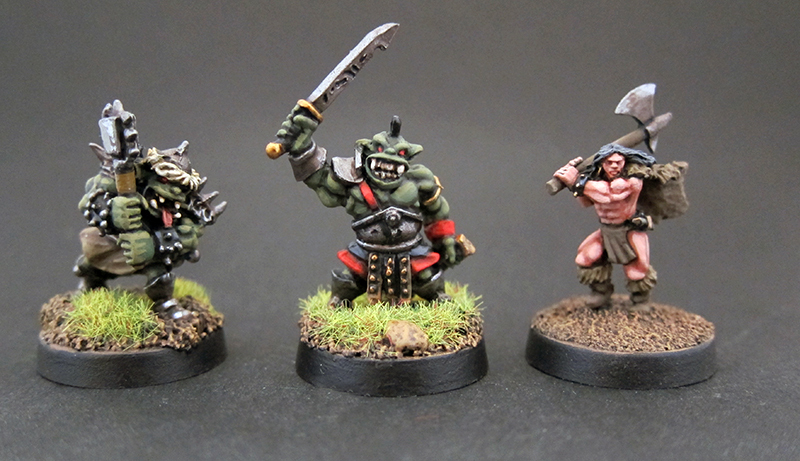 Finish my Orcs, Goblins and Skeletons for my Barbarians to fight. I got a few packs a while ago, all Blood Dawn, all very nice. My first goal will be to just paint one of each variant. 3. Cthulhu! I have the gangster and police sets from Khurasan to paint up as investigators and villains. I am considering repainting my octo-cultists, but may just leave them as-is. 4. Kaiju! I finally have both the rules from Ganesha and some beautiful resin city terrain from Old Crow for my long planned Mighty Monsters project. I have even painted up a Monpoc Terra Khan and almost finished my Shark monster! I'm saving these for another post. 5. Finish my new city ruins board. I have already converted and painted up some Proxie Models ruins and made a 2x2' foamcore and wallpaper board. I need to fix the wallpaper down better and edge the board before showing it off in photos. It will look like my Strike Force comp entry photo backgrounds, but be big enough to game on properly. 6. Build a 6mm travel set. This should really be covered on my 6mm blog, but I'll post there when it's done. I will probably be moving to Australia this year, and I'd like to have some gaming supplies with me when I arrive and have to wait for my other stuff to be shipped over. This set will be very minimal, which will be a fun challenge in itself. 7. Stop spending on minis and fix up my beloved VRSCDX v-rod. It's been sorely neglected in the garage all winter and needs some attention. Robin from Gruntz very kindly sent me an Imperator Mech which arrived today. It's a beautiful kit, very clean and no bubbles. Some of the sprue is very thick so I will need to get hold of a razor saw before I start assembling it. The style is perfect for my collection. It's clearly a humanoid robot shape, with a manipulator hand and head-like cockpit, and to my eyes has a little bit of my favorite battletech mech's soul in it.. 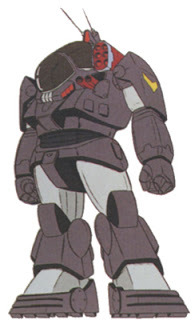 The Battlemaster (nicked from the Dougram anime). The 85-tonner was not the most finely tuned mech in the classic game, but I sure wreaked a lot of havok with it's quad lasers, 6-pack and PPC back in the day. 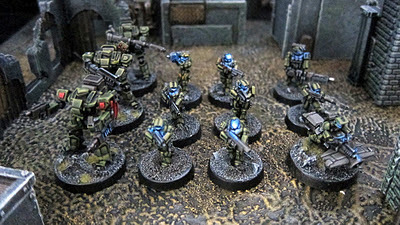 Robin began the Gruntz project right about the time I was starting this blog. It has been both a pleasure and an inspiration to watch the project go from some homebrewed rules, to a platinum selling PDF rulebook, to a whole product range including counters and miniatures. This mech represents the fruit of all of Robin's hard work and I'm honored to own one. I'd been curious about these rules in the past, but when I first looked into them they were a bit mysterious on the website and I didn't probe further. Today though, the site was filled with helpful downloads and explanations, and I couldn't resist taking the plunge. Available free from the site are 3 scenarios, 2 of which are solitaire! One os Zombies and the other is Space bugs. After printing out one set of the cards I was ready to go. 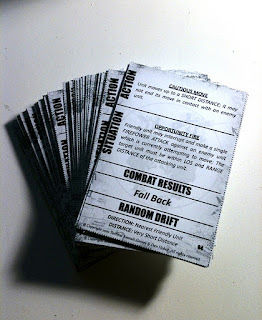 The first cool thing about these rules is that aside from your minis and terrain, they use just one deck of special cards for each player and your choice of measuring device. That's right, no dice. Use any scale minis. Game automatically scales to size of play area! Only uses the card decks and a one-page QRS to govern play. No dice! Uses Narrative terms to express combat stats and results.. No numbers! Skirmish or company level, doesn't matter. "Easy to learn, hard to master" design philosophy. Pretty much my favorite one. Opportunity fire cards can be played in your opponent's turn, and covering fire cancels it. Neat! The game is great for solo play against non-shooty enemies (zombies and bugs in the 2 solo scenarios) but I'm keen to figure out an easy way to play solo against a mixed force. I will blog more about my games as I play them, but I tried the zombie scenario with only 12 point sides (The standard game is 36 pts) and it was a hoot. I lost, but partially because I statted up my DPLS crew (had them handy) and while the Big Blue guy with the auto-grenade launcher came in very handy (Counted as a Fire Support unit and blew up a lot of Z's) my engineer and robot (Engineer and civilian) were pretty useless. The system is VERY generalized, but there are expansions available that allow you to add "personality" cards and "Experience" cards to further detail your models. If you are playing a company level game, you could probably get along with the basic rules just fine.. But if my next few games prove as much fun as my first, I will probably pick them up too. My Jasmine Throne Battalion figures are going to need some special rules to reflect their motley biology! If the system has a weakness at all, it may be that a mixed force is more effective than a mass of same troops. If one army was composed entirely of infantry for example, the artillery, aerial and fire support cards would be pretty useless when drawn. Then again, the infantry would dominate in close combat.. So maybe it's OK. The authors put a lot of emphasis on the system being very balanced. I encourage the rules-hounds among you to go check out the website and read the free material available to see what you think. I'm hooked. I have updated my entry page, and replaced the photos with some new ones.. Go take a look! 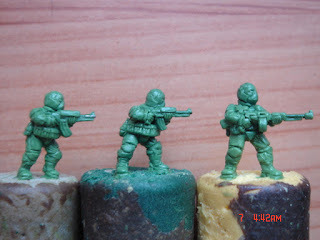 As I seriously over-painted these figures (OSL on 15mm? 4-6 stage highlights? Lunacy!) I didn't get as many painted as I would have liked, but I ended up with a lot less free time than I expected for this project around the holiday break. I still have a few goodies left (A mortar, APC, and a sitting HMG gunner) which I will get to later and post here. Art Crime Productions sponsored me for this event, and I'm both honored and grateful that they did. The figures and casting are top-notch and Jimbo is a great guy. I hope these photos push you to make an order if you were on the fence about these figures, they deserve the support. I was sent 3 of each of the Valkyrie suits, so made sure I painted one of each to show off the differences. The bodies are all one of 2 poses, but the arms and weapons are completely interchangeable and a llow good variety of pose. 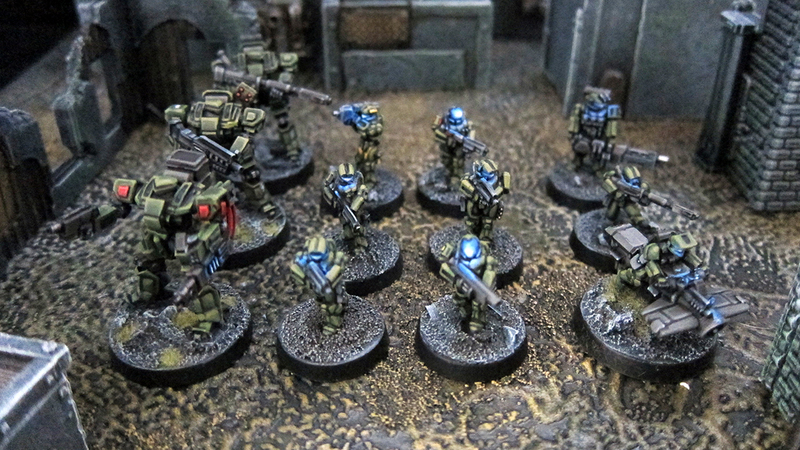 The anti-tank and flamer units both have Khurasan Stowage on their backs. The scenery in the photos is a mix of Ramshackle truck parts, and Proxie models plastic ruins. Two great sources of inexpensive 15mm scenery. Ramshackle might be a bit pricey shipping to the US, but for a UK guy like me, they proved really good value. Proxie models is based in the US, but is still very affordable for what you get, even with shipping to the UK. They are new greens from a blog called "Armie's Army" and are as yet without a manufacturer. I would snap these up straight away were they available. The style is nice and chunky with eminently paintable detail, and the equipment is modern but would very easily be paintable to look like excellent near-future or sci fi figures. Needless to say I'll be following Armie's Army closely in future. Back to work on my ACP figures!